Mary Kinnear is professor of history at St. John's College, University of Manitoba. Kinnear, Mary. 1994. “"Mostly for the Male Members&quot;: Teaching in Winnipeg,1933-1966”. 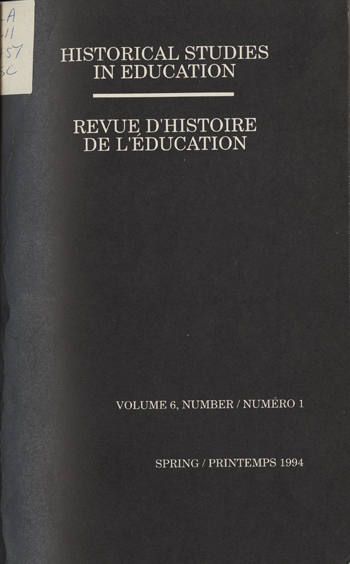 Historical Studies in Education / Revue D’histoire De L’éducation 6 (1), 1-20. https://historicalstudiesineducation.ca/index.php/edu_hse-rhe/article/view/1147.